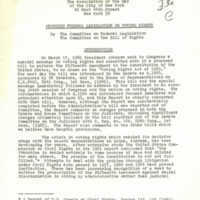 During the 1950s and 1960s, civil rights activists won major, if incremental, victories in the fight for racial equality. 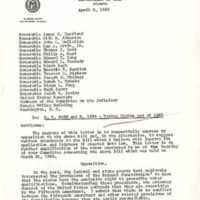 NAACP lawyers challenged Jim Crow laws in the courts and won several prominent cases, including the landmark Brown v. Board of Education of Topeka Supreme Court decision. 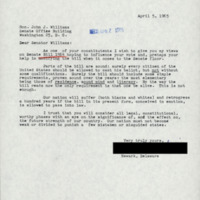 Grassroots activists of all ages utilized peaceful boycotts, marches, sit-ins, and freedom rides while attempting to force an end to the entrenched policies and customs underpinning the Southern state’s racial caste system. 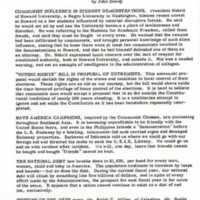 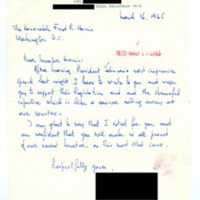 Many Americans also supported the cause in a less visible, though no less significant, manner; they wrote their congressman. 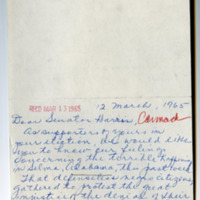 Throughout the spring of 1964, pro-civil rights Americans flooded members of the 88th Congress with correspondence urging their support for the civil rights bill then making its way through the House and Senate. 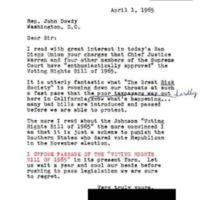 In particular, the letter writers targeted the Midwestern Republican senators who traditionally voted with Southern conservatives on racial issues, and whose votes ultimately proved instrumental to the passage of the Civil Rights Act of 1964. 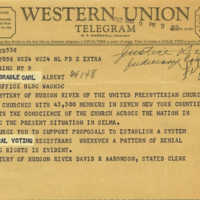 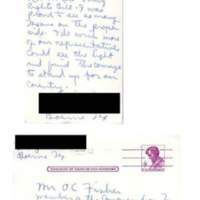 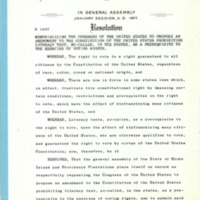 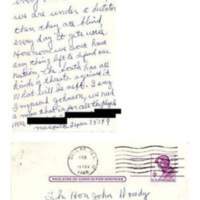 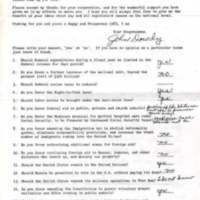 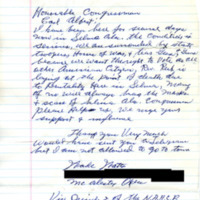 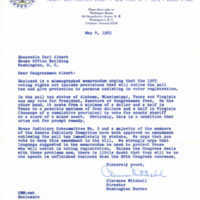 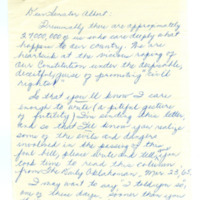 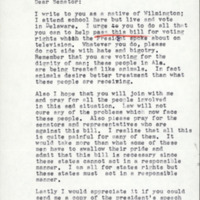 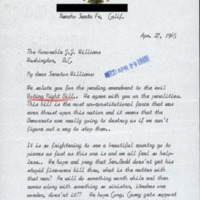 Nearly a year later, in the days and weeks following the assault on civil rights activists at the Edmund Pettus Bridge in Selma, Alabama, and President Johnson’s subsequent call for the 89th Congress to take up legislation to address minority voting rights in the South, letters urging congressional action again poured in to support the movement. 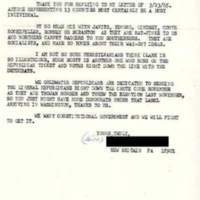 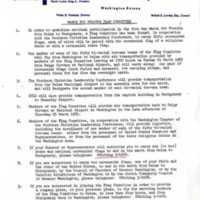 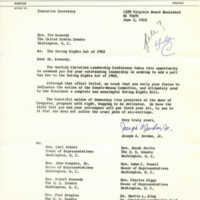 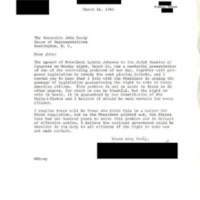 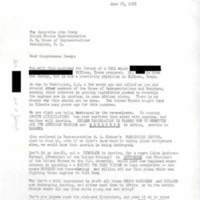 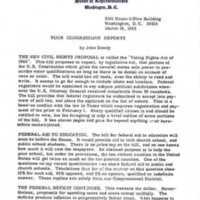 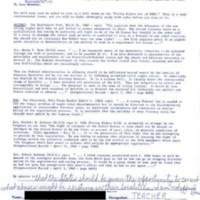 However, it was not only pro-civil rights advocates that put pen to pad in regard to the issue. 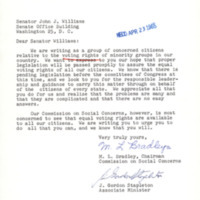 Segregationists and state’s rights advocates met civil rights protestors with “massive resistance” in the courts and in the streets, and they too wrote their elected representatives. 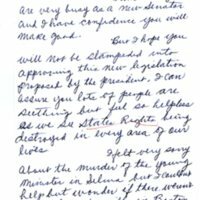 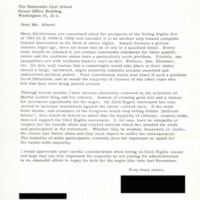 The anti-civil rights letter writers expressed a variety of views and opinions as to why representatives and senators should hold the line against further legislation to advance the cause of racial equality. 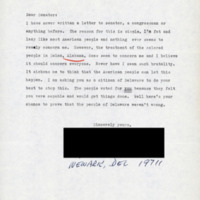 Some espoused overtly racist reasoning. 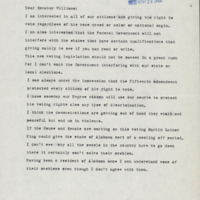 Others expressed outrage at the brutality inflicted upon civil rights activists but held to the argument that the Federal Government did not have the constitutional authority to infringe upon a state’s right to carry on its own elections. 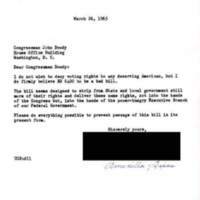 The Democrats’ overwhelming majorities in the House and Senate during the 89th Congress ensured that the fight for the Voting Rights Act carried little of the drama that encompassed the passage of the Civil Rights Act of 1964. 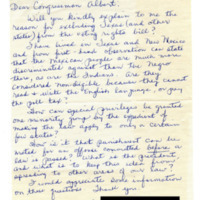 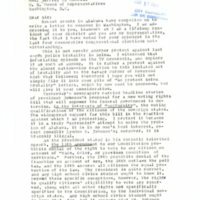 When taken together, the collected constituent correspondence reveals the complexity of Americans’ attitudes toward civil rights issues during the 1960s.